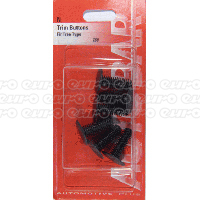 Keep new and existing body panels firmly in place with panel clips from Euro Car Parts. With great prices on small packs and complete assorted sets, you’ll find all the panel clips you need for maintenance and repair right here. 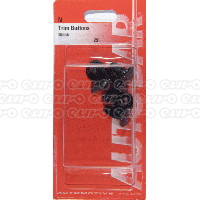 Find quality panel clips for all makes and models at Euro Car Parts. 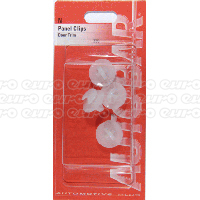 Panel clips are small but sturdy pieces of plastic that hold door and splash panels in place. If you’re doing some work on a car body, you might damage or destroy the panel clips, but don’t worry – you can get a complete set of replacement panel clips right here. With everything from smalls packs of panel clips for odd jobs, to complete sets so you’re prepared for a big project, our stock will help you hold your car’s bodywork together. 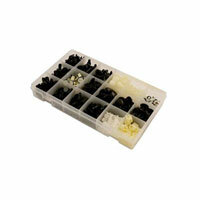 We also stock trim buttons, which simply push into place to hold panels in place. When you’re working on your car and you need a tool or a part, don’t forget that we have 130,000 different parts and products in stock – so whatever you need, it’s likely we’ll be able to help! Call in to your nearest Euro Car Parts or simply browse and place and order online with free UK delivery.